Xanadu Gallery Owner, Jason Horejs shares decades of shipping experience. Shipping is both science and art, and I would like to share with you some of the lessons and techniques I’ve learned over the years. I’ve often declared that artists and gallerists are as much in the performance art business as the visual art business. 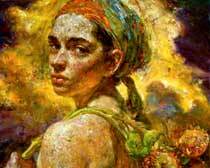 We want to convey to the collector that the work of art they just bought, or are considering to buy, is a masterpiece. When handling the art, we should do so respectfully and almost reverentially. This applies to how the art is shipped as well. When the art arrives on your client’s doorstep, you want the packaging to look like it is worthy of the artwork within, not something that fell off the recycling truck. For about $100 you can assemble a basic shipping toolkit. I have five favorite tools I use consistently when shipping. 6 minutes of humorous but very informative video tutorial, Ric handles his artwork with respect and does not forget to add his Certificate of Authenticity and I like the way he turns up tabs to tape ends for easy removal, way to go Tapeman!! Love the zany music and sound effects! When reviewing shipping strategies, my only comments on his technique are two. Other art experts advise leaving 2″ between canvas edge and Styrofoam border while he leaves them as an equal sandwich. Other artwork experts advise wrapping the painting and Styrofoam (or double layers of bubble wrap) package in a waterproof sealed layer. Lots of good advice served up with a spoonful of humor. Thank you Ric Nagualero for allowing us to use your video. Laura den Hertog shares her wealth of shipping experience. A large sharp utility knife. Packing tape. I buy a whole box of rolls at Staples because it’s much cheaper to buy it bulk, but you can get this stuff at any dollar store. A sheet of Insulating Foam from any Home renovation center. I use the least expensive they have, one inch thick 2 x 4 foot sheet for about $5. If I am shipping a large piece, I’ll use the denser, more rigid version for a few dollars more. Cardboard Boxes. This is the best part. There is a huge bin for recycling behind every store. My favorite stores are Pier I and a home store that carries window blinds. 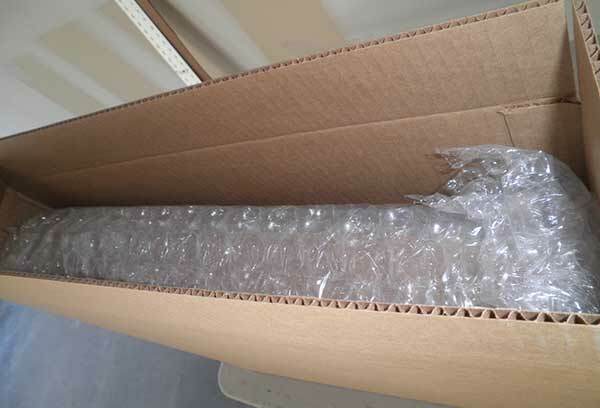 Do you need to pack your fine art for delivery overseas? 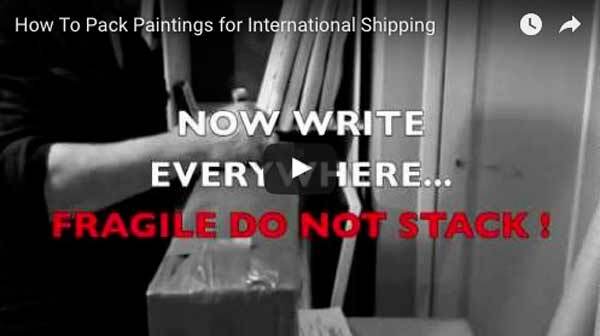 This tutorial offers advice on how to pack paintings for shipping so that you can send your artwork to galleries or collectors anywhere in the world. Discover which packing materials to use. 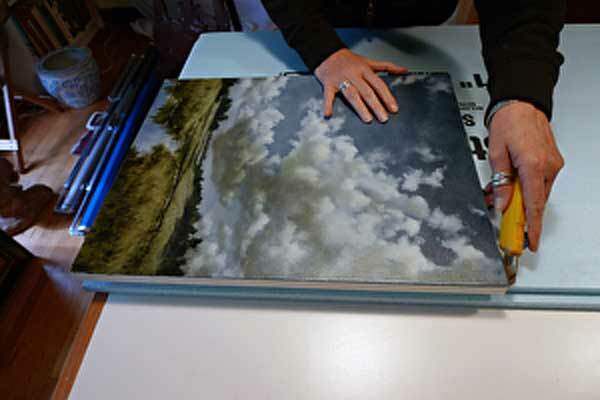 Learn how to deal with packing your artwork for shipping — including instructions on packing framed artwork. 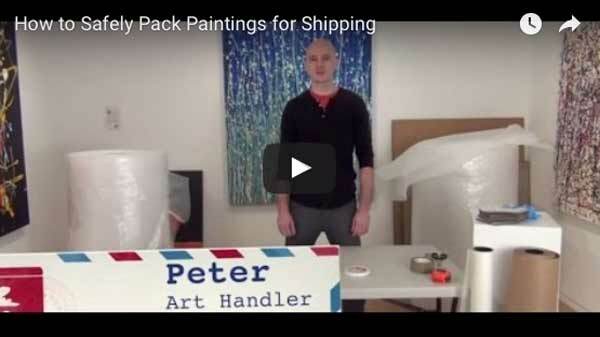 Packing paintings for shipping can seem like a daunting task, but follow these simple instructions and you’ll be able to pack your artwork like a pro.